Christmas Day is fast approaching and Breitbart News thought it apropos to highlight six pocket guns that should be on wish lists around the country. These guns are perfect for men who live in climates where cargo shorts/pants are daily wear, as you can put the gun in a small holster and literally drop it in your front pocket and go. The six guns listed below are also excellent gift choices if you have a woman on your listâ€“say, a mother or grandmother who plans to keep the gun in her purse or even to carry the gun in a sweatshirt pocket while walking the kids in the park. One of the guns on this list is so light and compact you can carry it in sweat pants or other relaxed clothing without needing to worry about the weight of the gun pulling on the pants. And the recoil on all these guns is minimal, as they are chambered in .380, .32 or .38 Special. They really are great guns for mothers and grandmothers who realize they are the first line of defense for their children or grandchildren should trouble strike. Kel-Tec P32â€“The Kel-Tec P32 is an ultra-lightweight semiautomatic pistol chambered in .32 caliber. (By â€œultra-lightweightâ€� I mean 6.6 ounces.) This is the gun for your sweatshirt or sweatpants, and it is certainly a front pocket pistol for people who regularly wear cargo shorts. The magazine holds seven rounds, plus one in the chamber for a total of eight. The gun has no external safety; if a bullet is in the chamber the gun is ready to go. However, the trigger pull on the P32 is long double-action only and that long pull serves to prevent accidental discharges. Approximate price for a Kel-Tec P32 is $250. 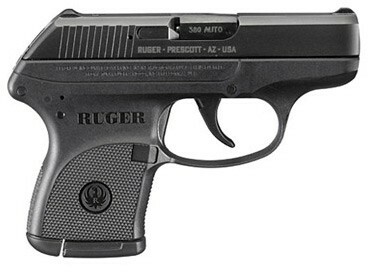 Ruger LCPâ€“The Ruger LCP is one of the most popular pocket guns on the market. It weights in at 9.6 ouncesâ€“extremely lightâ€“and is chambered in .380. It holds six rounds in the magazine plus one in the chamber, for a total of seven rounds. Like the Kel-Tec P32, the Ruger has no external safety mechanism. Rather, it has the long double-action only trigger pull that helps prevent accidental discharges. The LCP is an extremely durable gun in a slightly larger caliber than the Kel-Tec, yet it is diminutive enough that front pocket carry or purse carry is no problem. 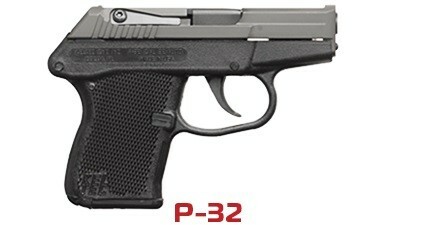 Approximate price for a Ruger LCP is $250-$270. 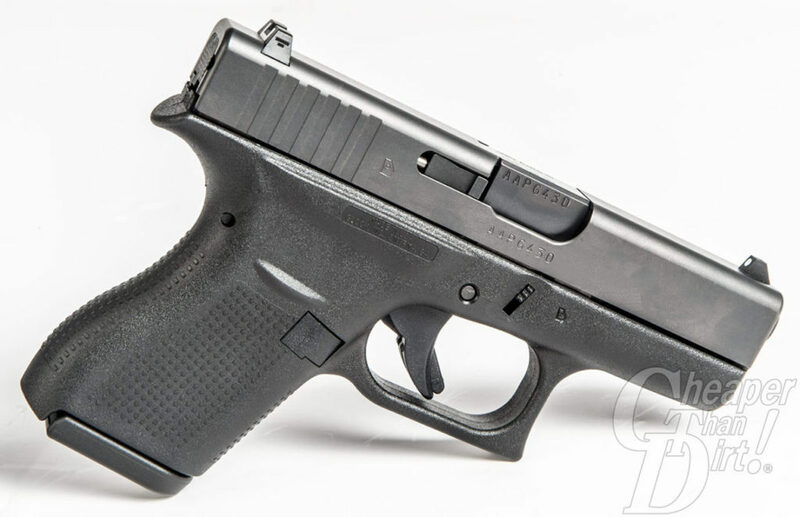 Glock 42â€“The Glock 42 is a sub-compact pistol that is larger than the Kel-Tec or Ruger, yet still small enough for pocket or purse carry. It is chambered in .380 and holds six rounds in the magaizne and one in the chamber, for a total of seven. The 42 weighs 13.76 ounces. The gunâ€™s weight makes the recoil of the .380 round even easier to handle, which makes the 42 a great concealed carry gun for women (or anyone looking for less recoil). The 42 has a very short trigger pullâ€“compared to the Kel-Tec or Rugerâ€“and has a trigger safety that is part of the Glock â€œSafe Actionâ€� system. The Glock 42 is very comfortable to carry, easy to use, and has Glock dependability on its side. Approximate price for Glock 42 is $420-450. Sig Sauer P238â€“The Sig Sauer P238 is a .380 pistol that operates on a single action platform. This means it has a hammer that has to be cockedâ€“either manually (with your thumb) or by racking the slide. The P238 has an external thumb safety and holds six rounds in the magazine and one in the chamber, for a total of seven rounds. The P238 weighs 15.2 ounces, making it a great gun for women who plan to carry a gun in their purse or bag instead of on their person. The P238â€™s external saftey provides added protection against an accidental discharge. Approximate price for Sig Sauer P238 is $680. Kimber Micro Carryâ€“The Kimber Micro Carry is a concealed carry pistol chambered in .380. It weighs in at 14.8 ounces and holds seven rounds of ammunition in the magazine and one in the chamber, for a total of eight. 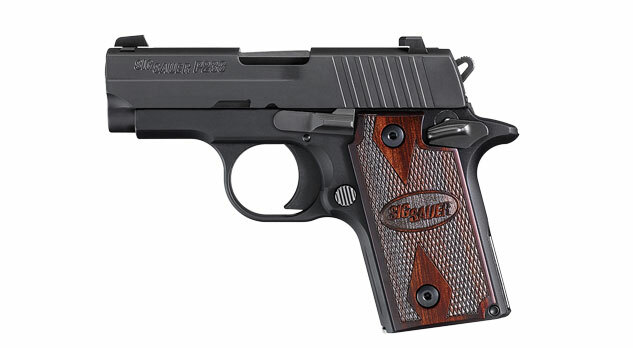 Like the Sig Sauer P238, the Micro Carry operates on a single action platform and has a hammer that must be cocked. The Micro Carry also has an external safety, like the P238. An important note on the Micro Carryâ€“it shoots as if it were a much larger gun with a much longer barrel. The accuracy of this gun is incredible. The Micro Carry is a great gun for men and women, suitable for pocket carry in cargo shorts or pants, and certainly a great gun for purse carry. 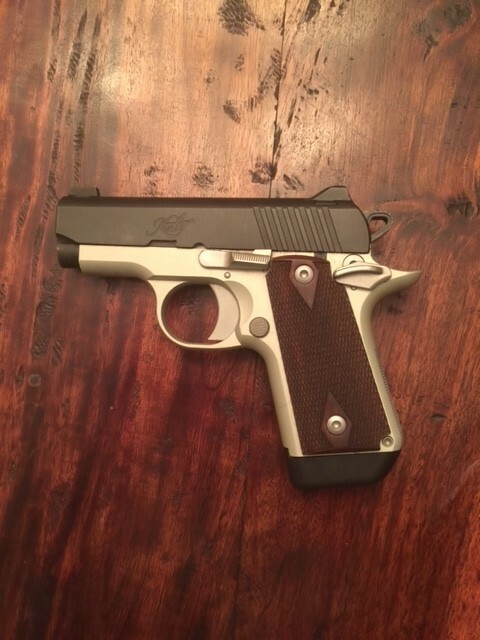 Approximate price for a Kimber Micro Carry (the Two-Tone model was tested) â€” $650. Smith & Wesson 638 Airweightâ€“The Smith & Wesson 638 Airweight is a classic Smith & Wesson snub-nose revolver with two notable upgrades: 1. The gunâ€™s hammer is concealed, to avoid snags when drawing it from a pocket or purse. 2. The weight of the gun is greatly reduced via the use of aluminum alloy. Because of the use of alloy the 638 Airweight only weighs 14.6 ounces. It holds five rounds of .38 Special +P ammunition. This a great gun for front pocket carry in cargo shorts and similar clothing, and the gun is well suited to being carried in a purse or bag. The gun is very simple to operate, which makes it a good choice if being purchased for a mother or grandmother who is not well-acquainted with firearms. 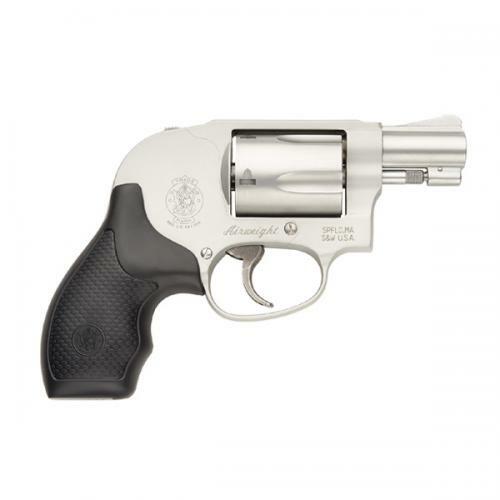 Approximate price for Smith & Wesson 638 Airweight is $480-$500. Whether you plan on carrying one of these guns in a pocket or a purse, it would be wise to purchase a pocket holster to go with the gun. This does two things: 1. Covers the trigger to prevent unintentional discharges. 2. Keeps the gun clean and the barrel free of debris if the firearm spends considerable time in a purse or bag. As with all firearm purchases, be sure you are familiar with the laws of your state before buying and practice up once you acquire the weapon. Nothing will build confidence like knowing where the bullet will go, should you have to use the gun while under duress. AWR Hawkins is the Second Amendment columnist for Breitbart News and host of â€œBullets with AWR Hawkins,â€� a Breitbart News podcast. He is also the political analyst for Armed American Radio. Follow him on Twitter: @AWRHawkins. Reach him directly at [email protected]. it would be wise to purchase a pocket holster to go with the gun. This does two things: 1. Covers the trigger to prevent unintentional discharges. "Hammerless" gun is your best option for pocket concealment. Front pocket that is. For rear pocket conceal carry, .25 autos fit nicely.